The Irvine City Council is comprised of the Mayor and four City Councilmembers who are elected at large by registered voters of the City. Councilmembers serve a four-year terms and the Mayor serves a two-year term. The City of Irvine has a two-term limit for elected officials. 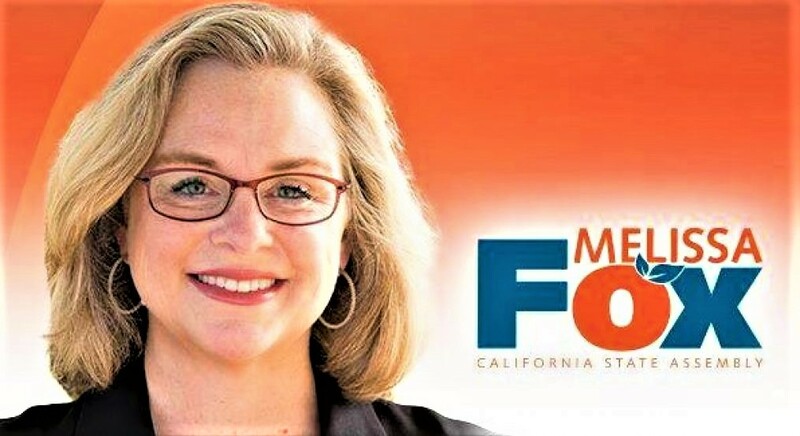 Melissa Fox’s Official Irvine City Council page can be found here. Melissa’s Council Executive Assistant is Allison Binder. She can be reached at abinder@ci.irvine.ca.us. Note: All correspondence is public record. The City of Irvine is a Charter City governed as a Council/Manager form of government. In the Council/Manager form of government, the City Council, as the elected body, adopts legislation, sets policy, adjudicates issues and establishes the budget of the City. The City Manager is charged with the duty of implementing City Council policy and laws as the administering head of the government. The Irvine City Manager can be reached here and at 949-724-6246. Melissa’s Commissioners and Committee Members can also be reached via Alison Binder at abinder@ci.irvine.ca.us. Irvine City Council Agendas can be found here. Irvine City Council Minutes, can be foun here. Great Park Board of Directors Agendas, Minutes and Videos can be found here. City of Irvine Official Events can be found here. Regular City Council Meetings: Regular meetings of the City Council are held on the second and fourth Tuesdays of each month at 4 p.m. in the City Council Chamber, One Civic Center Plaza. Study Sessions or Closed Sessions are held periodically and may begin prior to the start of the regular meeting. Please check the individual agendas. Speaking at Public Meetings: If you would like to address the City Council on a scheduled agenda item, please complete the SPEAKER’S CARD. The card is available at the meeting from the City Clerk. Please identify on the card your name, address and the item on which you would like to address. Return the card to the City Clerk. The SPEAKER’S CARD assists the Mayor in ensuring that all persons wishing to address the Council are recognized. Your name will be called at the time the matter is heard by the Council. Public Comment: Any member of the public may address the City Council on items within the Council’s subject matter jurisdiction but which are not listed on this agenda during public comments. However, no action may be taken on matters that are not part of the posted agenda. Public comments are scheduled for 30 minutes and are limited to three minutes per person. If you wish to speak, complete a speaker’s card and submit to the City Clerk. Watching on TV: Regular City Council and Successor Agency meetings are broadcast live every 2nd and 4th Tuesday of the month at 4 p.m. and are replayed on Tuesdays at 4 p.m. (in weeks in which there is not a live City Council and/or Successor Agency meeting), Sundays at 11 a.m., Wednesdays at 7 p.m., and Thursdays at 10 a.m. until the next City Council/Successor Agency meeting. All broadcasts can be viewed on Cox Communications Local Access Channel 30 and U-Verse Channel 99. City Council meetings are also available via live webcast and at any time for replaying through the City’s ICTV webpage here. For more information, please contact the City Clerk’s office at (949) 724-6205. Public Hearings: Public Hearings are scheduled for a time certain of 4:00 p.m. (unless noticed otherwise) or as soon thereafter as possible. Those wishing to address the City Council during the Public Hearing must complete the speaker’s card and submit it to the City Clerk prior to the hearing. If, in the future, you wish to challenge in court any of the matters on an agenda for which a public hearing is to be conducted, you may be limited to raising only those issues which you (or someone else) raised orally at the public hearing or in written correspondence received by the City at or before the hearing. Any person seeking to challenge a City Council decision made as a result of a proceeding in which by law a hearing is required to be given, evidence is required to be taken, and the discretion in the determination of facts is vested in the City Council, shall be required to commence that action 90 days following the date on which the decision becomes final as provided in Code of Civil Procedure Section 1094.6. Please refer to Code of Civil Procedure 1094.6 to determine how to calculate when a decision becomes “final.” Public Hearings listed for continuance will be continued as noted and posting of the agenda serves as notice of continuation. Any matter not noted for continuance will be posted separately. Guidelines for the submitting information for dissemination at public meetings can be found here. If you are planning to attend an Irvine City Council meeting, please let Melissa know, so she can meet with you afterward. For information about official invitations of Irvine City Councilmembers to community events, click here. You can also contact Melissa’s Council Executive Assistant Allison Binder at abinder@ci.irvine.ca.us. Melissa loves to attend community events and will do so whenever she can. Please let her know about your events as much time in advance as possible. In addition to her official City Council email, you can also connect with Melissa by email at melissa@melissafoxlaw.com. You can connect with Melissa on Facebook here. You can connect with Melissa on Twitter here. You can connect with on Instagram here. You can connect with The Fox Firm: Law and Public Affairs here and here. Do not hesitate to contact Melissa regarding any issues or concerns or ideas about making Irvine an even better place to live, work, and raise a family.